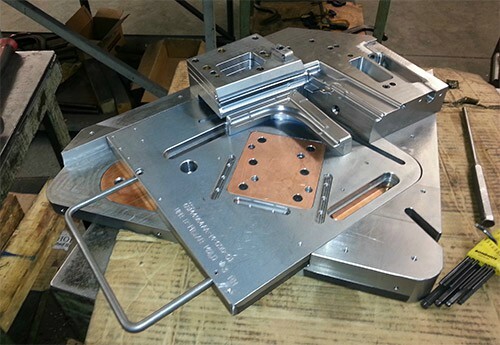 At Enterprise, we are capable of designing and manufacturing complex molds and tooling for a variety of applications. 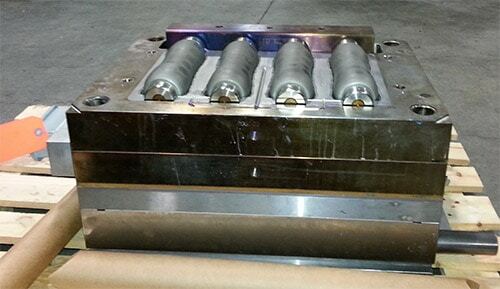 We specialize in custom machining projects. 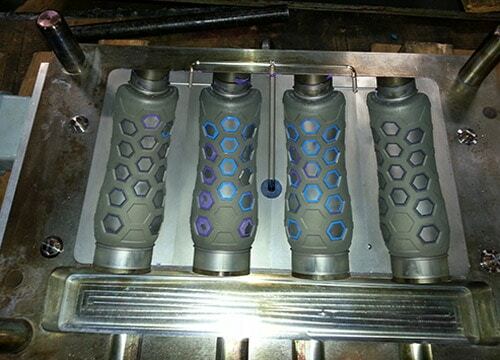 The tooling shown here is a four cavity, 16 oz. 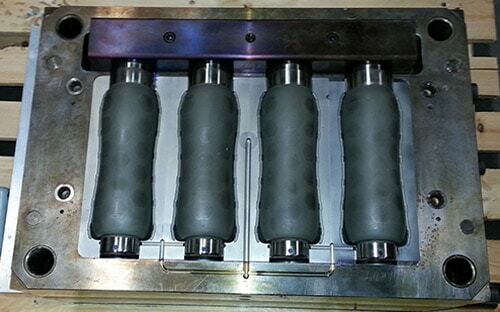 sleeve mold that is used by a customer in the medical industry. 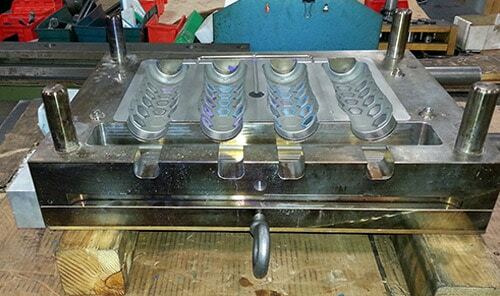 Multiple machining processes were used to produce the mold, which is constructed of a P20 steel base with PX5 inserts. Wire and Ram EDM equipment were used to machine intricate part features and provide a fine surface finish, while a CNC lathe and mill were used to machine additional components. The mold surface was given a D2, or dry blast finish according to the customer’s specifications. This project was completed for a customer who selected us due to our ability to provide complete service, from the design and manufacturing to installation of the mold. We pride ourselves on being a service-oriented organization and make the extra effort necessary to not only ensure the tooling is produced correctly, but that it is installed properly in the customer’s machine. Because this was a project for the medical industry, specific safety codes noted in government regulations related to mold construction material had to be closely followed. A total of four molds were produced for this project with a lead time of 8 weeks. For additional details regarding this custom medical tooling project, see the table below, or contact us directly.